Da Nang city continues to top the Vietnam ICT Index 2016, the rankings on the readiness for information and communications technology development and application, which was revealed on March 22. The central city is followed by Hanoi and Ho Chi Minh City in the ratings for the 63 provinces and cities nationwide. The Ministry of Finance leads other ministries and ministry-level agencies, while the State Bank of Vietnam is the first among agencies subordinate to the Government. The Ministry of Education and Training, the Ministry of Information and Communications, the Ministry of Culture, Sports and Tourism, the Ministry of Science and Technology, and the Committee on Ethnic Minority Affairs climb five places in the index. Meanwhile, the Ministry of Industry and Trade and the Ministry of Justice drop in the list. Among commercial banks, the five leading positions respectively belong to the Joint Stock Commercial Bank for Investment and Development of Vietnam (BIDV), the Sai Gon Joint Stock Commercial Bank (SCB), the Vietnam Public Joint Stock Commercial Bank (PVcomBank), the Military Commercial Joint Stock Bank (MB Bank), and the Nam A Commercial Join Stock Bank (Nam A Bank). The Housing and Urban Development Corporation (HUD), the Vietnam Steel Corporation (VNSteel), and the Vietnam Airlines Corporation (Vietnam Airlines) are the best State-owned groups and corporations in the Vietnam ICT Index 2016. 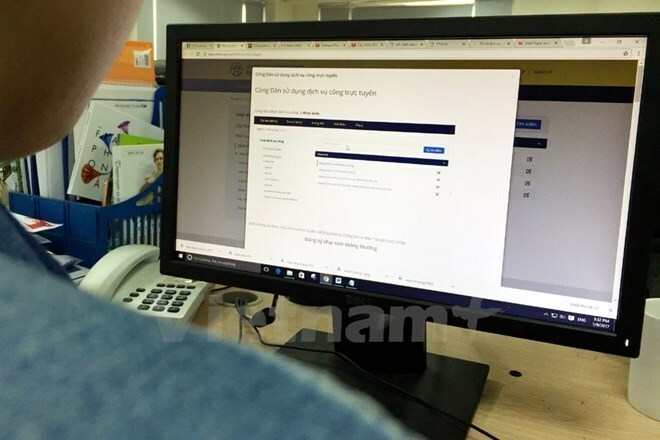 Among the five agencies under the Government that do not provide public services, the Vietnam Television ranks first, and is followed by the Vietnam News Agency. The Vietnam ICT Index 2016 was compiled by the Ministry of Information and Communications based on the United Nations’ criteria. It comprises three main components of technical infrastructure, manpower infrastructure, and IT application. The survey gathered data from 63 provinces and cities; 24 ministries and ministry-level agencies, 29 banks, and 21 economic groups and corporations. The 2016 rankings is the 11th of its kind issued so far in the country.